This is an updated version of cream cheese frosting that produces a very smooth texture ideal for piping. 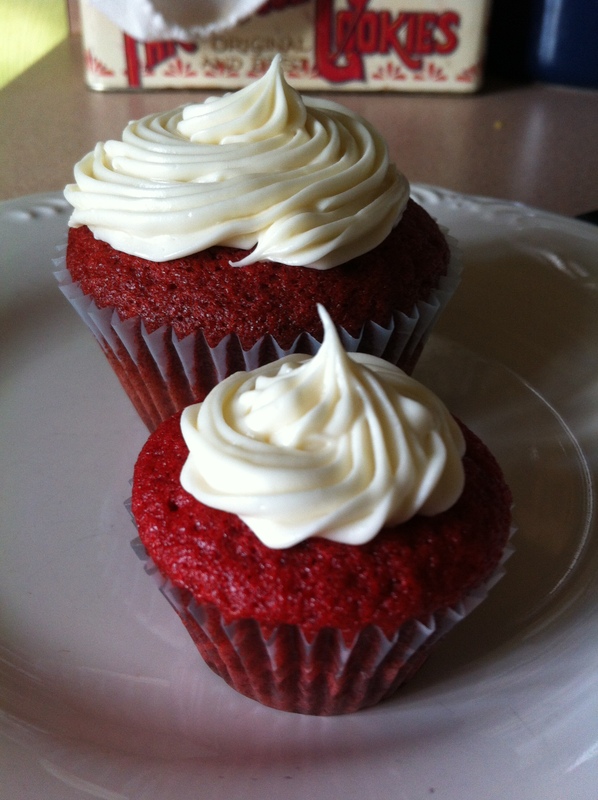 Cream cheese frosting is a good complement to red velvet cake and carrot cake, but its possibilities are truly endless. Regular cream cheese frosting is great on its own, but it can be enhanced with a range of flavors to complement any number of cake or cupcake flavors. Fruity flavors like raspberry or lemon are great for spring and summer cupcakes, or treats for bridal or baby showers or Mother’s Day. Maple, cinnamon, and orange are good for fall and winter in complement to spice cakes. Add in some cocoa powder for a chocolate cream cheese frosting or spike it up with some whiskey for a complementary frosting to stout cupcakes, chocolate cupcakes, or spice cupcakes. This recipe is also easy to adapt to smaller or larger batches. The ratios below are ideal for a batch of 24 cupcakes. In a mixing bowl, cream together butter and cream cheese for 1-2 minutes, until combined. Add vanilla and beat on medium speed for 5 minutes. Add powdered sugar, one cup at a time, mixing well after each addition. If you’d like your frosting to be a bit sweeter, add the remaining 1/2 cup of powdered sugar. Fit a piping bag with a large plain tip and pipe frosting onto cupcakes. Store in the refrigerator, but bring to room temperature before serving.